The map view shows Stockholm, a seaport, the largest city and the national capital of Sweden. The city is situated on Sweden's eastern coast at the mouth of Lake Mälaren (Lake Malar), on the mainland and numerous adjacent islands. Stockholm is home to the official residence of the King of Sweden, the seat of the Swedish government, and the Riksdag (the Swedish parliament). It is Sweden's cultural, political, and economic center. The GaWC ranks the city as an Alpha world city. In 1998 it was the European Capital of Culture. Central Stockholm with Klara Church (Klara Kyrka) and Sheraton Hotel. Sweden's capital has a population of about 1.58 million people (in 2018), about 2.3 million live in its metropolitan area. 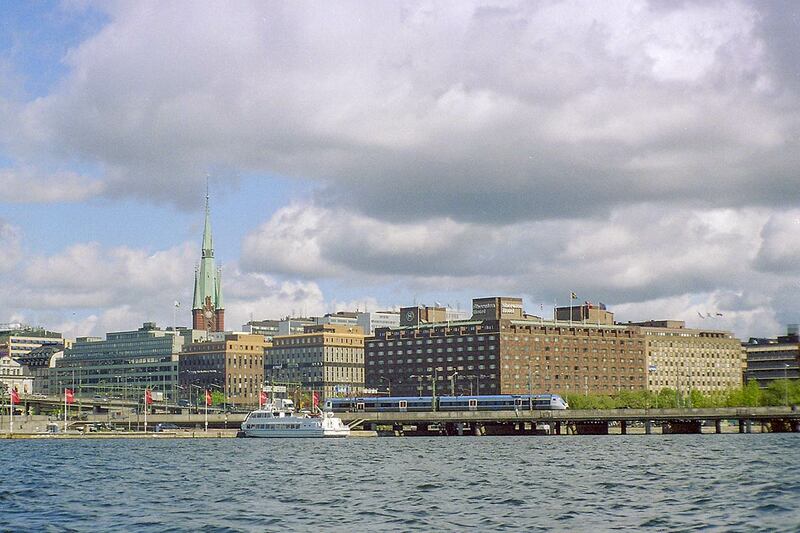 Approximately 20% of Sweden's population live in the city. Spoken languages are Swedish (official), English is widely understood. Stockholm was in Lonely Planet’s list of Best in Travel: Top 10 cities for 2012. The city was described as: "The film release of 'The Girl with the Dragon Tattoo' might have prompted a new wave of Stieg Larsson fans to look for the grimy side of Stockholm. Unfortunately, they’ll have to look quite hard, because Stockholm looks as perfect as it’s ever been. This is as seductive a capital city as can be imagined – cosy yet cosmopolitan, wilfully alternative and effortlessly picturesque. With its trendy design shops and bohemian bars, the island of Södermalm is one of the coolest kids on the block, while the stately parks of Djurgården make it the best island for an evening stroll. Admittedly Stockholm has never been a cheap date. But even if Stockholm leaves you with a lighter wallet, you’ll inevitably still leave it with a heavy heart." The map shows a city map of Stockholm with expressways, main roads, and streets, zoom out to find the location of Stockholm's domestic Bromma Airport (IATA code: BMA) 8.6 km by road (via Drottningholmsvägen), and Stockholm-Arlanda International Airport (IATA code: ARN) 42 km (26 mi) by road (via E4) north of the city center. Google Map: Searchable map and satellite view of Stockholm, Sweden.